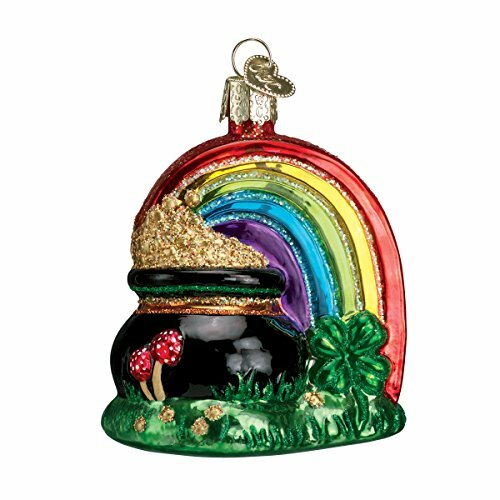 The luck of the Irish is sure to come to the owner of this beautiful ornament, for it carries three lucky symbols. First is the legendary pot of Leprechaun s gold found at the end of the rainbow. Second is the rare four leaf clover. Third is the double mushroom, which doubles the good luck!